Matt Nable joins our team! We are pleased to welcome on board the multi-talented writer/actor Matt Nable, as an exciting new addition to the Sunstar team. Matt starred in The Killer Elite alongside Clive Owen and Robert De Niro and 33 Postcards alongside Guy Pearce. 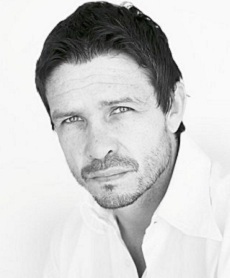 He also wrote and starred in The Final Winter (2007), an independent Australian film that has since been released internationally, and appeared in the series of East West 101 (SBS Television). Two of his screenplays are currently in development. Matt is well known to Australian audiences, having played the lead in the recent Australian TV series Bikie Wars: Brothers In Arms (2012) on Network 10 and Underbelly: Badness (2012) on the Nine Network – both of which were hugely successful in Australia. Matt is the author of the novels We Don’t Live Here Anymore (2009) and Faces in the Clouds (2011). He is currently writing the script for the feature film True Spirit, the Jessica Watson story which will go into production in 2013.